1. Laura Geller Under makeup primer– I love this super lightweight, oil free primer. 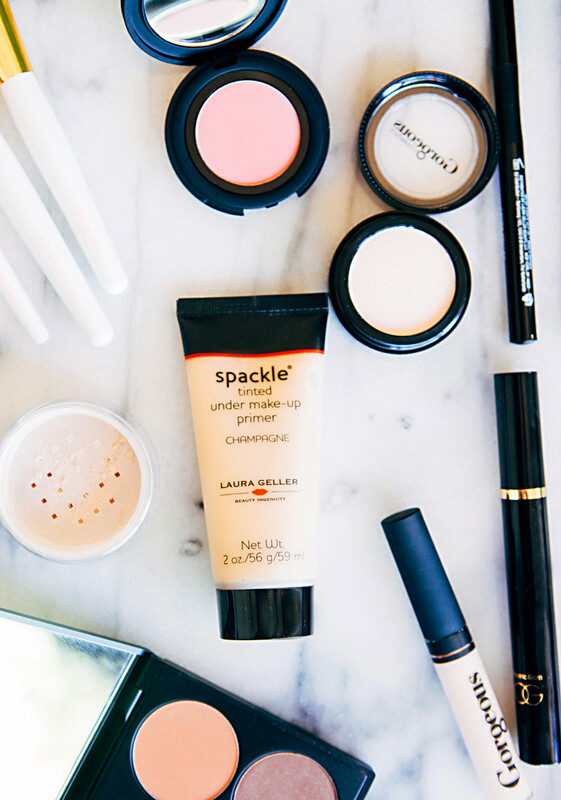 I like to keep the makeup on my skin light- and let me freckles show through, so this is perfect! 2. For those times when my skin isn’t cooperating, or my under eye circles are especially pronounced, I love this Gorgeous Cosmetics concealer. It’s thick enough to cover up most everything but blends easily into my skin. 3. I love a fresh, dewy glow and I’ll use the Organic Glam shimmer powder over my primer/concealer for nights out. 4. To put a rosy glow onto my cheeks I’m loving Gorgeous Cosmetics powder blush in Coral. It’s the prettiest pink, and gives me the look of having just come in from a brisk walk! 5. 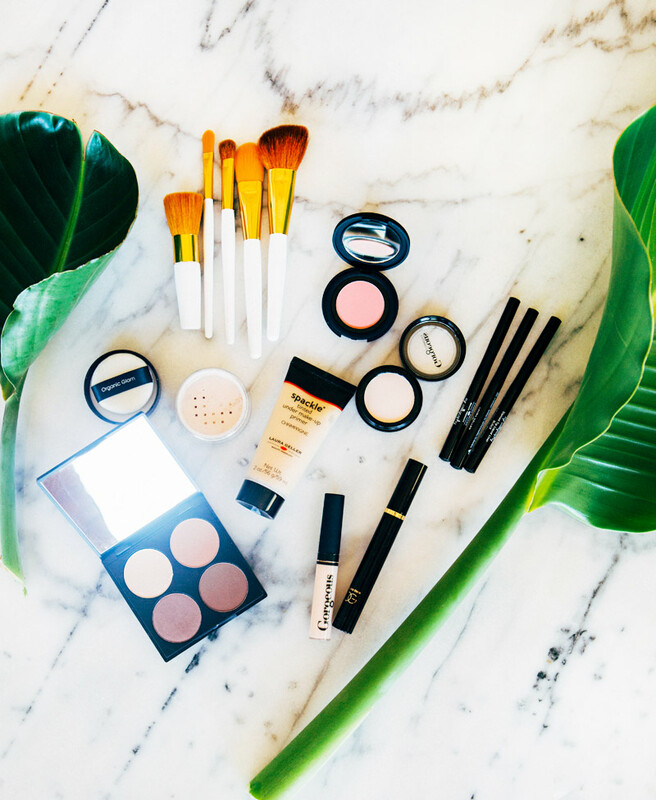 For my eyes I always start with the Gorgeous Cosmetics iPrime eye shadow base – it’s critical for making sure the shadow I put on sticks around longer than a couple of hours! 6. I love that Gorgeous Cosmetics has an eye shadow pallet especially for hazel eyes, I love the way the violette makes my eyes pop! 7. I’m new to liquid eyeliner- I’ve always been suspect of my abilities to put it on, but I surprised myself and have been loving it! I love the Gorgeous eye liner because it wipes off easy if I have a mishap! 8. This Organic Pharmacy mascara has been giving my eyes the perfect frame for a couple of months now and I LOVE it! I’m always looking for an incredible mascara that gives length and volume and this one fits the bill! Yes! Would love love love to meet you!